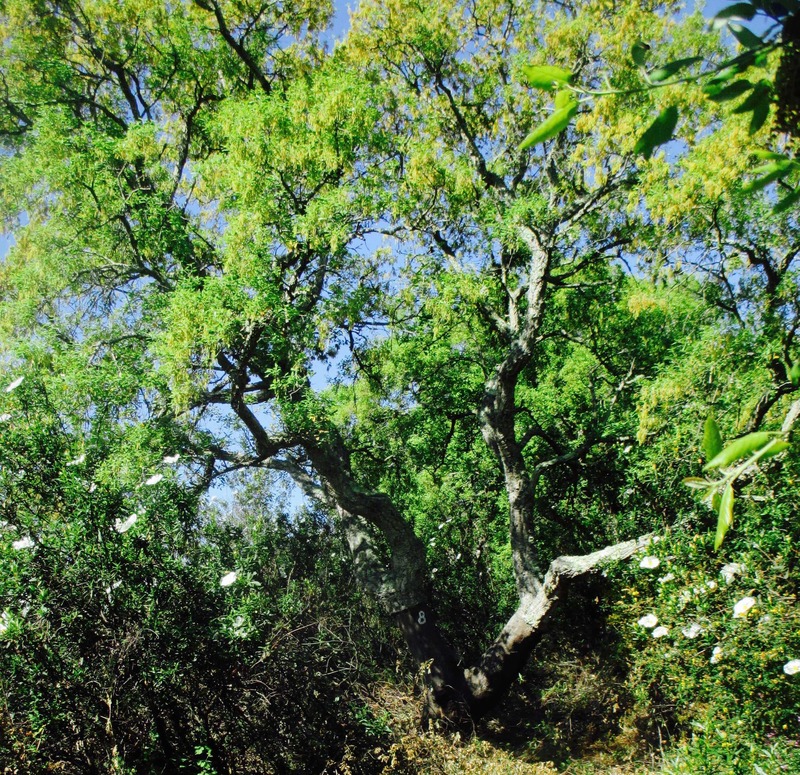 The Cork Oak is the most common tree at Monte da Vida. It has been planted extensively for the income that can be made from harvesting the cork, however it is also a crucial tree here for the regeneration of the forest and the soil. This evergreen oak is extremely resilient and able to grow in challenging conditions, its deep taproot penetrating poor degraded stony compacted soils. It is a kickstarter for biodiversity. 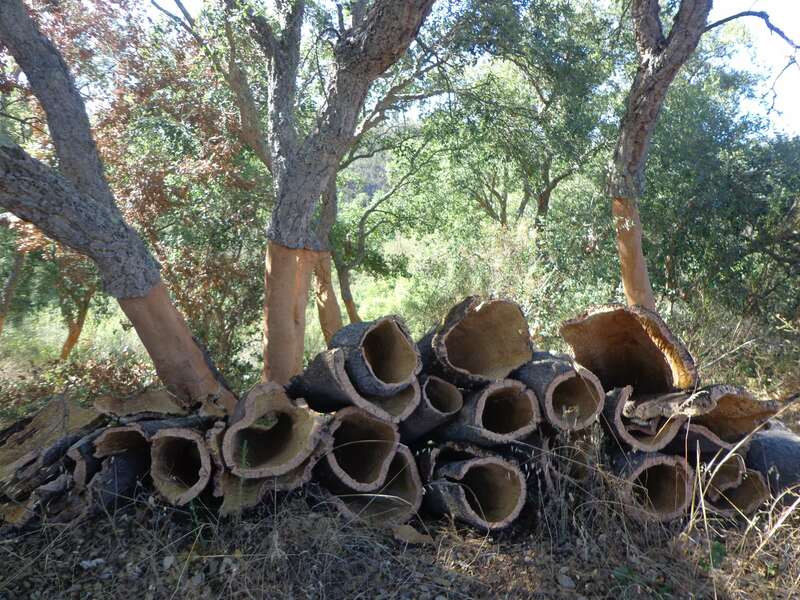 The Cork Oak offers a home to a lot of other life – countless insects, birds, take refuge in its branches, as well as the lichens that grow upon it, the animals that feed on its acorns. Its shade and leaf mulch provide a nursery for other plants. In Portugal the Cork Oak tree is called Sobreiro, a name that always reminds me of “Sombreiro” and so evokes its shade-giving quality. Another characteristic of this tree is that it flowers at different times of the year – some trees in the spring, others in the winter. I made my essence in May, but throughout December the tree outside my yurt has been in flower and buzzing loudly with bees on sunny mornings. The famous feature that differentiates the tree from other trees is of course the outer layer of bark comprising of cork. Cork is insulating, protective, fire resistant, as well as providing a refuge and a home for countless insects in its rough deeply grooved surface. 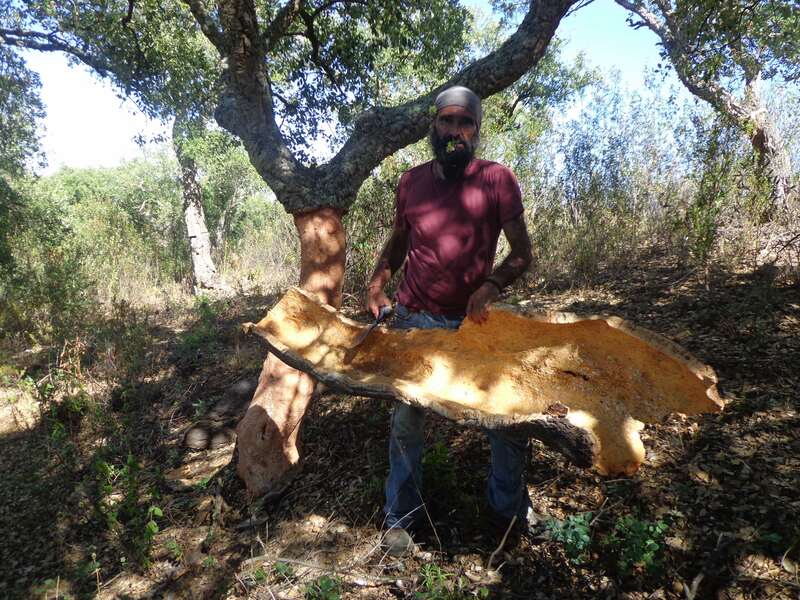 There is a long relationship between humans and cork trees in this part of Portugal (the Alentejo is the world’s biggest cork supplier). This history is intertwined with the use of cork for bottles, but in recent years cork has been the subject of much investigation and experimentation for a number of innovative uses. The issue of whether cork removal shortens the life of the trees is one that is open for debate, and which I touch on in my blog post on the cork harvest here. I made the essence from the flowers of one tree, located at the entrance to one of the older forest areas we have on the land. This tree, with its low-forked trunk and wide-spreading branches feels like the guardian of the gateway into the forest. The flowers were a bright yellowish green. Around the tree the Cistus was in bloom, as well as the purple Rosmaninho and yellow Broom. The first feeling I get from the tree is one of protection, resilience, and support. Its rough, tough exterior hiding an extreme gentleness within. I sense it emitting a green glow that touches the heart. A reminder and a teacher for the power of gentleness. 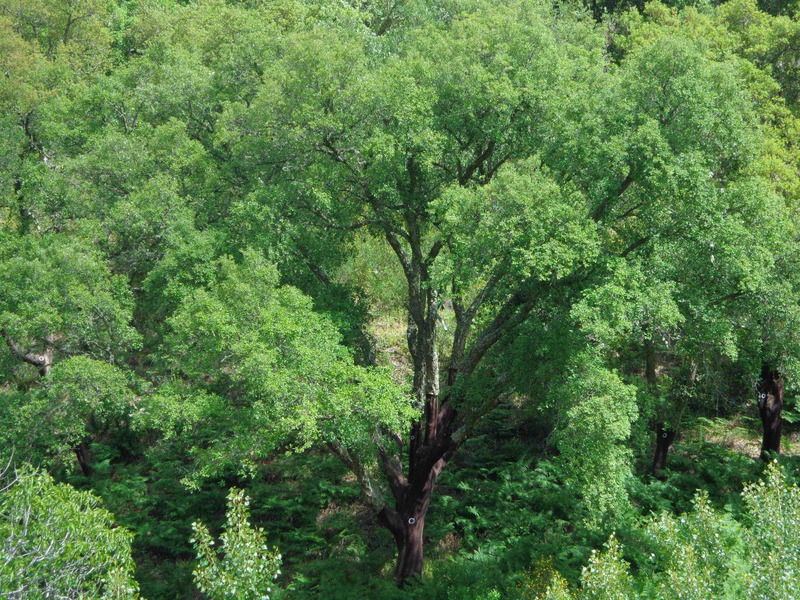 I chose to live in a cork oak forest and am surrounded by them. 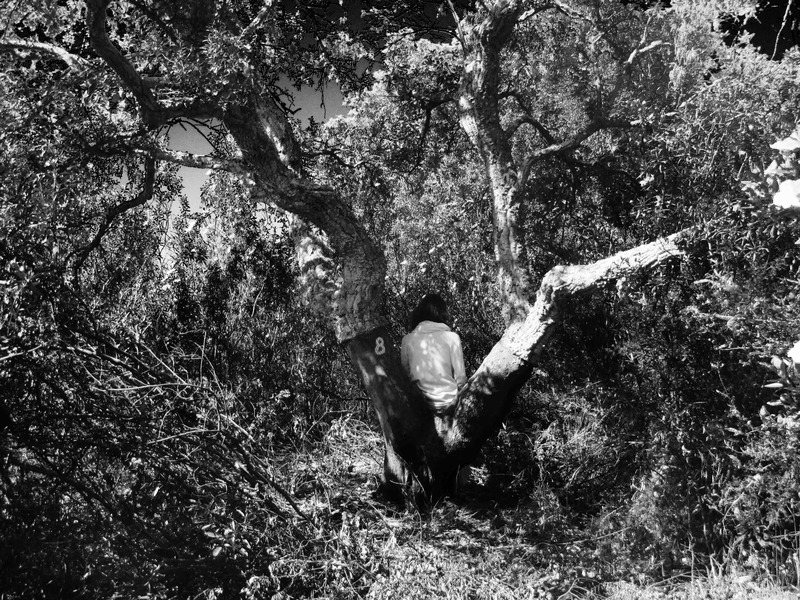 Over the past five or six years I have developed a relationship with the tree and feel grateful for its support. I feel it as a true plant ally. The remedy can help those who give too much, or carry too much, without allowing support to come in. It can be good for finding balance between giving and receiving. The spreading roots of the oak connect in to a mycelial network of support, and this interconnectivity is crucial to maintaining a healthy forest. It is a reeminder that we are also all connected. The tree’s outer layer of cork protects it from extremes of heat and fire. The essence can be useful for those who feel they need protection, and also for those who feel they overprotect themselves or others. Sitting longer with the green glow of this tree, I feel it as a teacher of compassion. Once we are in balance and settled within ourselves we can allow compassion to arise and to move us.